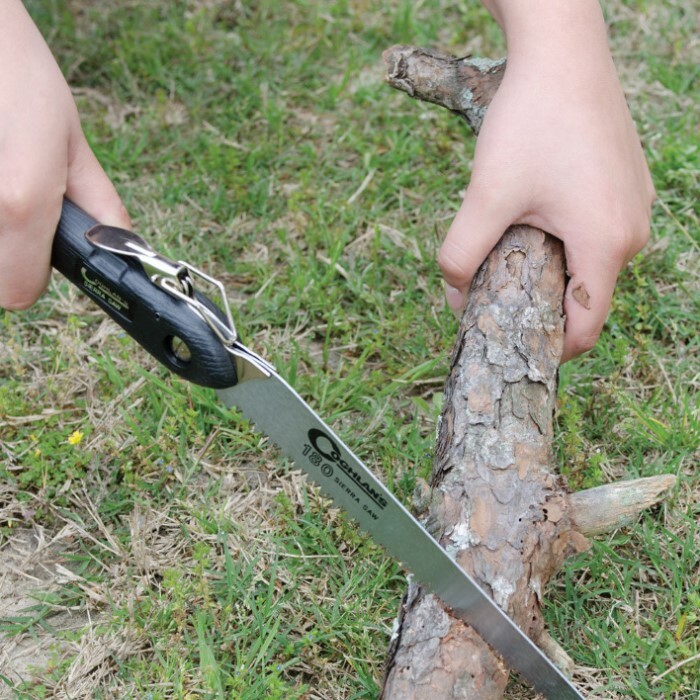 The ultimate pocket saw for the outdoors and around the home, this one never needs sharpening! It offers a safe one-touch lock system in which the blade locks open for safe use. The comfortable and ergonomic grip makes the handle slip-resistant. 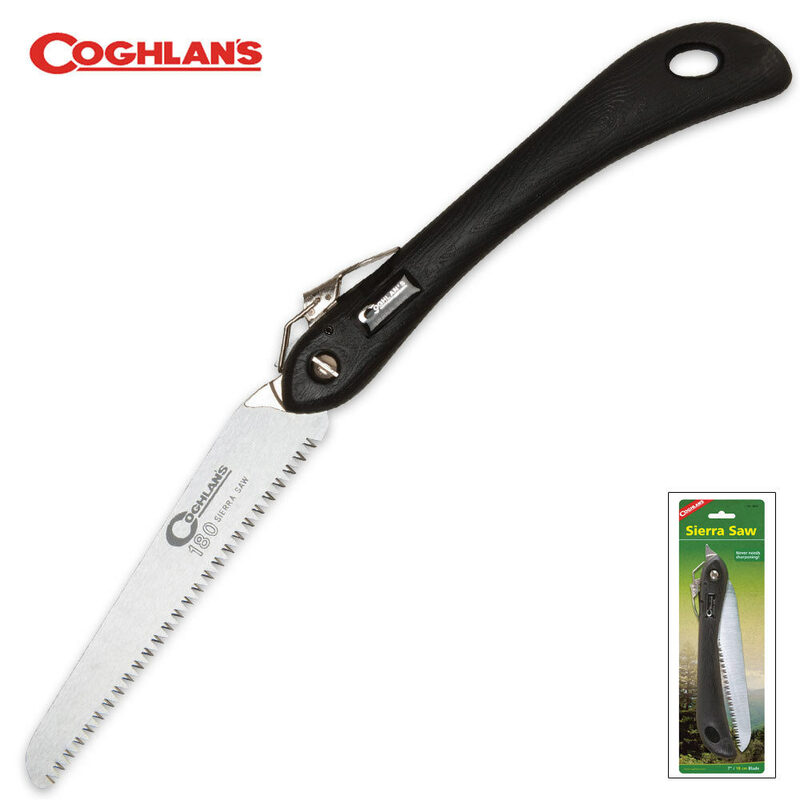 The blade folds into the handle for storage and carrying.The tempered flexible steel blade cuts smooth and clean. 7 in. blade. 16 in. overall, 9 1/2 in. closed.